What do you need for survival? I’m not talking about your phone, technology or a certain person; I mean what does your body need to survive? If you said food you would be correct… the single most important thing you need to focus on at that point is what to eat. Food is one of the most important things in our lives but in most cases it is low on our priority list. We usually eat whatever is quick and easy not what is best for us. Look at what we teach our kids in school, we give them a thorough education on topics such as Math, History, Science, Languages, etc, but never give more than a couple hours in their entire 12 years in school about the most important thing in our lives…what to eat. If you think about it, that’s absolutely crazy… One of the single most important aspects of our lives is never really taught to our children in school. And parents don’t generally pick up the slack and teach kids nutrition because they were never taught about it either. This is a modern day problem, the abundance of food all around us in modern day life means that we don’t have to think about what’s appropriate to eat. Lately I have been doing a ton of research on this topic. I’ve found that there needs to be some simple rules to follow if you want to successfully navigate the current food landscape. 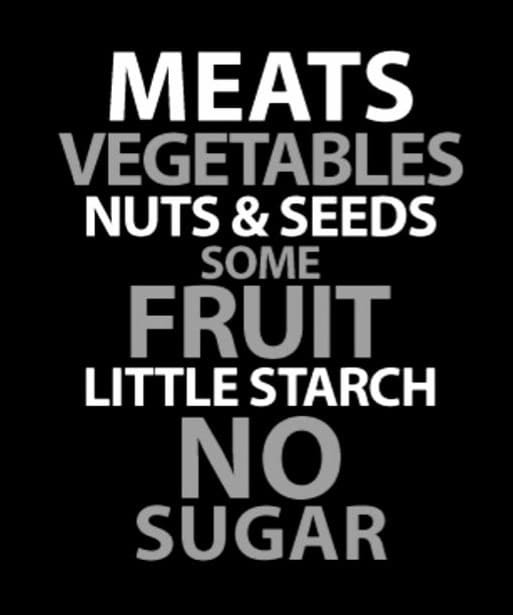 There is a ton of information on nutrition; everyone out there seems confused about what is the best “diet” to be on. People seem to love to always jump from fad diet to fad diet such as low-fat diets, Atkins, south beach, grapefruit diets, detox diets, vegetarian diets, and other sometimes ridiculous diets that most times are based on one person’s opinion or marketing scheme (or personal agenda) rather than based on actual science. I’ve found that in order to find out what’s best to eat we need to take a look at science and history. Before the agricultural revolution came around we (as humans) only ate wild plants and animals, we were hunters and gatherers. Now, we eat processed grains, farmed animals and plants and tons of chemicals. The biggest change this represents is the massive inclusion of grains in our current diet (and what our animals are fed) now compared to our ancestors. Grains were a very small fraction of our ancestors’ diet as there was no way to process large amounts of grain back in that day into flour. So, amounts of wild grain would have been small, like a handful or two of gathered grains added to an occasional soup or stew. As you can see, this is vastly different from our modern human diet that includes grain at almost every meal in the form of cereals, breads, pasta, muffins, bagels, etc. The grain itself was also different. Our ancestors’ grain was very robust and fibrous; our grain is weaker and brittle. Why? Grain and wheat has been genetically modified to produce higher and faster yields. This in turn makes it smaller than grain from the past and less nutritious. Healthy Eating Rule #1. Try to minimize grains in your diet. This includes multi-grain. 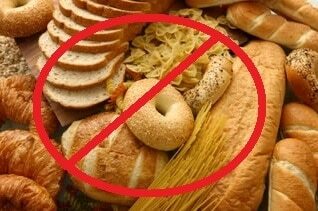 Carbohydrates and grains don’t need to be eliminated… they are not inherently “bad” in reasonable quantities. But processed grains and processed sugars in particular should be minimized. So to make things simple, you will be leaner and healthier if you get most of your carbohydrates from fruits and vegetables instead of grains and processed sugar. The biggest problem with grains (breads, cereals, pasta, bagels, etc), aside from the abuse to your blood sugar regulation system (pancreas and insulin sensitivity), is that grains typically contain a lot of anti-nutrients which prevent your body from absorbing some minerals, as well as gluten and other substances that cause chronic gut inflammation and even possibly digestive system damage. Research has also found that wheat provokes inflammatory response in the body which increases cholesterol, distorts insulin responses, and issues abnormal metabolic signals to the rest of the body. It’s important to note that potatoes, sweet potatoes, and other tubers have fewer problems in terms of digestive system inflammation than grains do. Tubers were a more common part of the ancient human diet as a source of carbohydrates than grains ever were. Potatoes and sweet potatoes can be much better tolerated by very active people that have no problem burning off the extra carbohydrates. Healthy Eating Rule #2. Minimize high fructose corn syrup and artificial sweeteners in your diet. Most people don’t realize just how many calories and metabolism damaging high fructose corn syrup, sucralose and aspartame they are ingesting. High fructose corn syrup and sucralose is in almost everything; ketchup, salad dressings, cocktail sauce, marinades, diet sodas, etc. Be a label reader, avoid HFCS and minimize sucralose and other sweeteners! 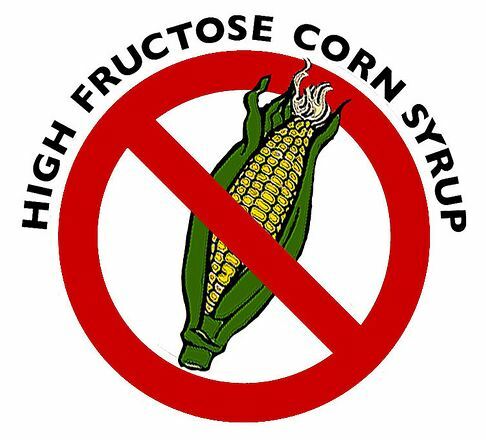 And despite deceptive advertisements out there from the corn refining industry that claim HFCS is no worse than sugar and is natural; this is far from the truth. Also, try to avoid artificial sweeteners! Just because they don’t contain calories doesn’t mean they don’t harm your body. In fact, many studies link artificial sweetener use to weight gain. New research is also showing that artificial sweeteners can “trick” your body into releasing insulin due to cells in your mouth and stomach that sense the sweetness and are expecting sugar–high insulin levels can cause body fat deposition. Also, triggering insulin in this way can cause more cravings for carbohydrates and sugar in the hours after eating or drinking the artificially sweetened product. Healthy Eating (or Drinking) Rule #3. Stay Hydrated: Drink Lots of Water. Whether your body is turning food into fuel or working away at your fat reserves, it needs water to efficiently burn calories. If you are not fully hydrated, your metabolism will slow down and you won’t be burning calories as efficiently as you can. Need some proof? University of Utah researchers found that adults who drink 8 or more glasses of water each day burned significantly more calories than those who drank 4 or less. How much water should you drink? The study considered a glass of water to be 8 ounces — that’ only two thirds the size of a can of soda. So drink up and give your metabolism a little boost. I hope that these “Healthy Eating Rules” help to clarify and give you some nutritional direction. There are some other “rules” that could be included but for the most part if you follow the above rules a majority of the time you will see some positive changes in your body composition and health. What do I personally do? Well, I avoid grains as much as possible, except on 1 cheat day per week. I eat whole fruits (never juice) and veggies daily, and might have an occasional potato or sweet potato a couple times per week. I try to keep it simple. Do these rules work? Heck yeah! Don’t take my word for it try them yourself. 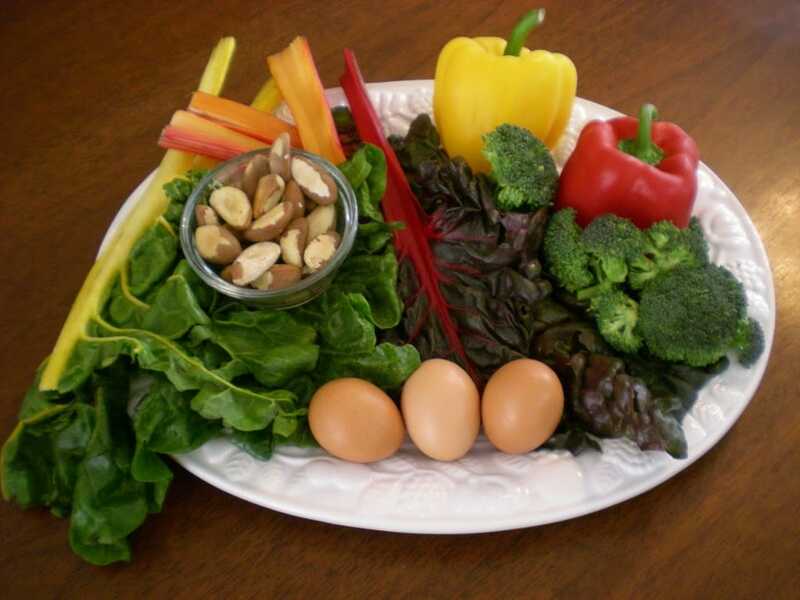 Need more nutrition advice or guidelines? 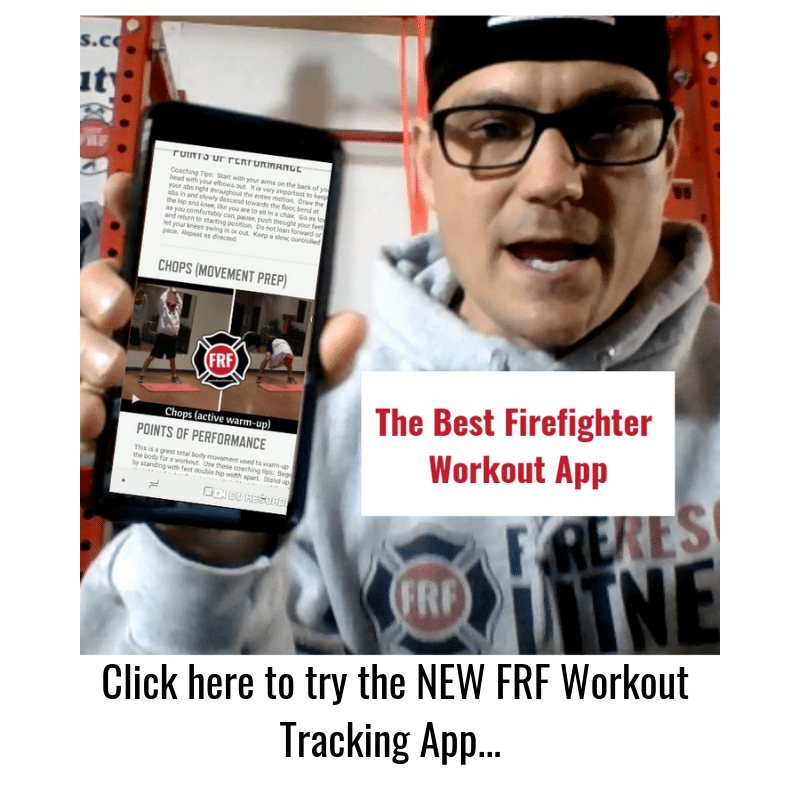 Join the Fire Rescue Fitness Nation and receive more nutritional advice along with my FREE reports: The 10 Best Exercises and the 5 Worst Exercises for Firefighters. Get them FREE by clicking HERE. Want to read more? 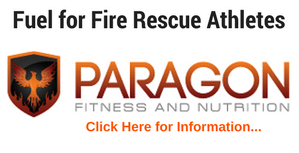 Check out these great nutritional resources.